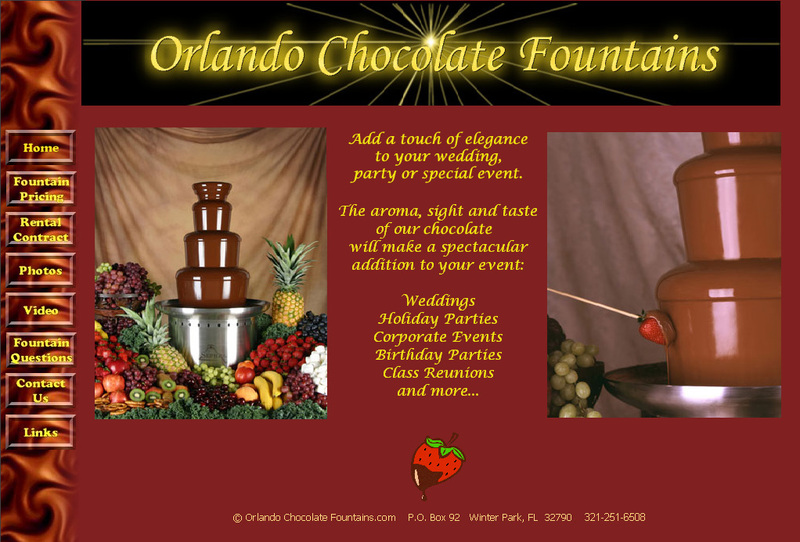 Orlando Chocolate Fountains provides these trendy and elegant additions for events throughout the Orlando and greater Central Florida area. While they sell fountains as well as rent, the rentals are becomming more and more popular for weddings, parties, business meetings and other special events. Their professional attendant and quality equipment ensures each occasion is special and very memorable. 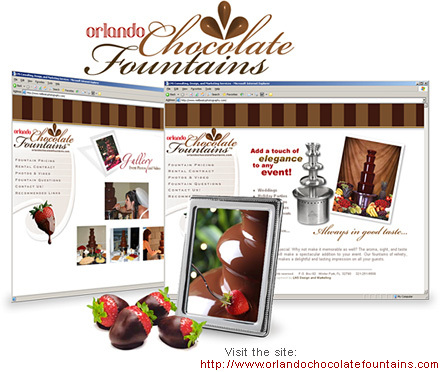 The owners of Orlando Chocolate Fountains started their business with a "homegrown" website that simply was not serving their needs, nor conveying the elegance of the product and service they were offering. LNS gave them a new look, a new logo, and a whole new outlook.